Do your child’s addition skills need brushing up? 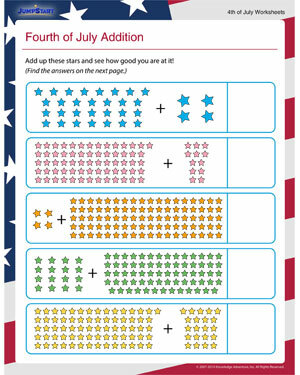 Why not download this free addition worksheet for Fourth of July and help him become a math whiz over the summer break? It’s interesting, educational and loads of fun in the bargain. And don’t forget to check out other free Fourth of July learning printables for kids.